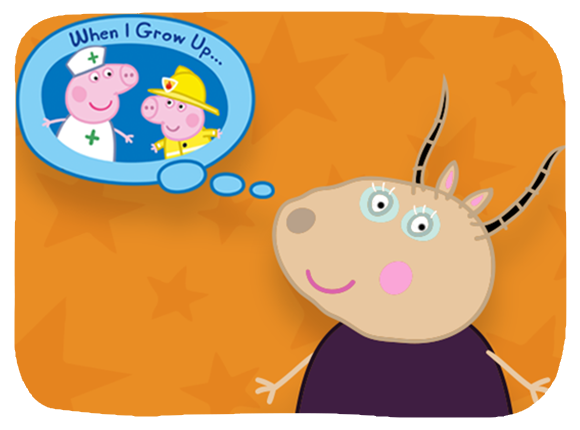 Peppa and her friends are using their imaginations to decide what to be in the new When I Grow Up DVD! Your little one will have fun playing pretend, helping others, and stepping on the stage for showtime with Peppa and her friends! Watch all 12 Peppasodes for lots of snorts and giggles. Education is an important step in building a bright future for your little ones. We've worked with educators to create free curriculum for your little learners! Share these resources with your child's teacher to make the classroom more oinktastic!